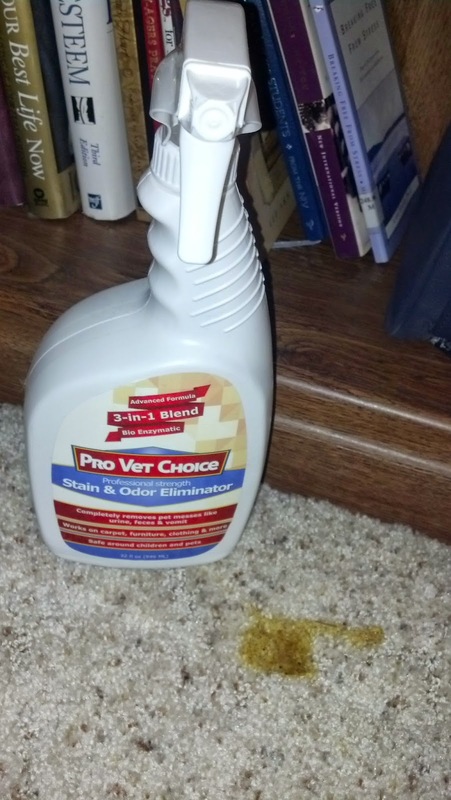 Pro Vet Choice Stain & Odor Eliminator is a 32 oz. spray bottle of professional strength pet stain and odor remover. It is formulated with enzymes and bacterial microorganisms to clean tough stains without using toxic chemicals. The enzymes break down proteins in the organic matter so the bacteria can use them as a food source. The microorganisms literally eat the stain until it's gone. They can work up to 80 hours and leave no residue or odor, which helps eliminate the problem of pets marking the same spot again. Not only does this product remove stains and odors effectively (just take a look at the before and after photos below), but it can also be used to freshen and deodorize pet bedding and crates or anywhere pets spend time. 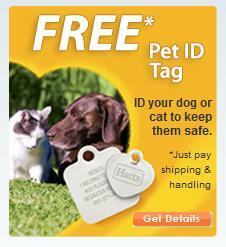 This is awesome for my household with two dogs and a cat - we have our share of accidents and vomit from time to time! Dotty threw up the other night and the stain completely went away with this remover, not to mention that it didn't change the color of the carpet or leave any residue. I also like that it's non-toxic so it's safe for pets and children. And for any dog owners, you know that "dog smell" that can happen on pet bedding, so it's great to have a non-toxic and effective deodorizer on hand - not just something that masks the smell but actually eliminates it. 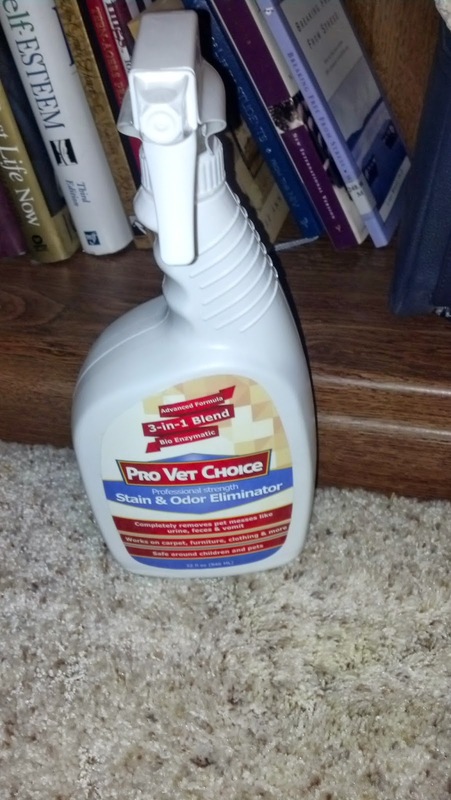 Overall, Pro Vet Choice Stain & Odor Eliminator is effective and safe, and I recommend it for any pet owner. 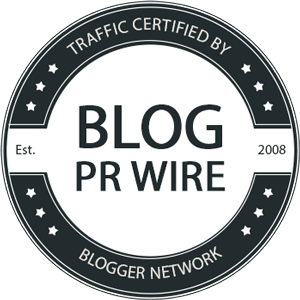 Disclosure: I received thi s product in exchange for an honest review.